Words by Kevin Doocey on January 23, 2014 . 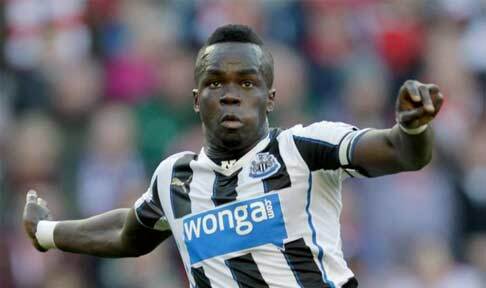 Cheick Tioté is one of a handful of Newcastle United players that have really turned on the style this season. Mike Williamson resembles an established Premier League defender nowadays while Vurnon Anita has fast become one of Newcastle’s most important players. Cast your mind back to last season and Cheick Tioté was an infuriating player to watch. Actually, turn your thoughts to the first few games of the season and Tioté looked out of his depth in England’s top division. I remember his performance away to Everton where Alan Pardew’s side suffered a 2-3 defeat after going three behind early on — Tioté putting in arguably his worst ever performance for Newcastle. Thing didn’t look too good for the Ivorian, but in the space of five months, the powerful defensive midfielder has flown through the gears and is performing brilliantly of late. His wrongly disallowed screamer against Manchester City a few weeks ago reminded fans of his goal against Arsenal in the historic 4-4 draw, but more importantly, it reminded us all of the real Cheick Tioté that bossed the midfield back in 2010. Story so far: Every Newcastle United fan knew that Cheick Tioté was due a return to form after dismal period, and the African midfielder has duly obliged. Whether his recent resurgence is down to his court case finally being put to bed or not I’m not sure, but either way, it has resulted in some excellent, energetic performances in the last 20 games. After an awful outing against Everton Cheick has come back stronger and it is fair to say that on current performance levels — the Tioté that we all grew fond of is well and truly back. He can still be overly eager in the challenge at times, but I am afraid that is an aspect of his game that cannot be changed, despite the attempts to do so by Alan Pardew and coaching team. 5 yellow cards so far this season averages out at about one in every three and I suppose that isn’t too bad considering the years previous. Alongside Vurnon Anita in midfield, they have made a excellent pairing, and long may it continue! Moment of the Season: There has been a number of fine performances from the 27 year old so far this season but the pick of the bunch for me was his efforts against Liverpool at St. James’ Park in the 2-2 draw. Down to ten men before half-time, Tioté stepped up the gears and bossed midfield alongside his counterparts to earn a valuable point. He even got an assist for Cabaye’s opener! There is my quick glimpse at Cheick Tioté’s season so far. Next up on ‘Midterm Report’ is Moussa Sissoko, so stay tuned. Do you have anything to say about Mr T’s efforts? Well if you do, leave a comment below and also make sure you give me a follow on Twitter @KevinDoocey & like Tyne Time’s Facebook page!